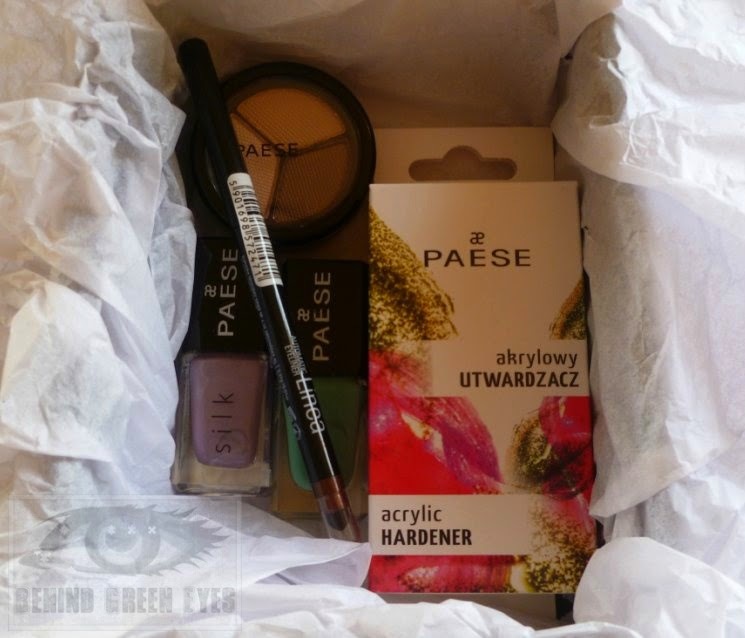 Behind Green Eyes: My First Beauty Box - Paesebox Review! My First Beauty Box - Paesebox Review! I've never ordered a beauty box, despite being tempted many times. I've always just thought they were essentially expensive lucky bags - that there would be one or two things I would like, and the rest would be tossed aside. The addition of little sample sachets or tiny 1.5ml perfume testers has also put me off - to me, that's not something I want to see in a box I pay €20 odd quid for. I know there's an initial buzz but I've watched too many letdown videos to want to spend money on a surprise. 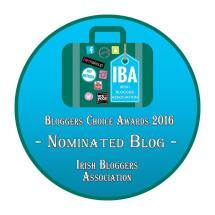 I entered a competition ran by Dolledup.ie on their Facebook page a while ago, and was lucky enough to be one of the winners. 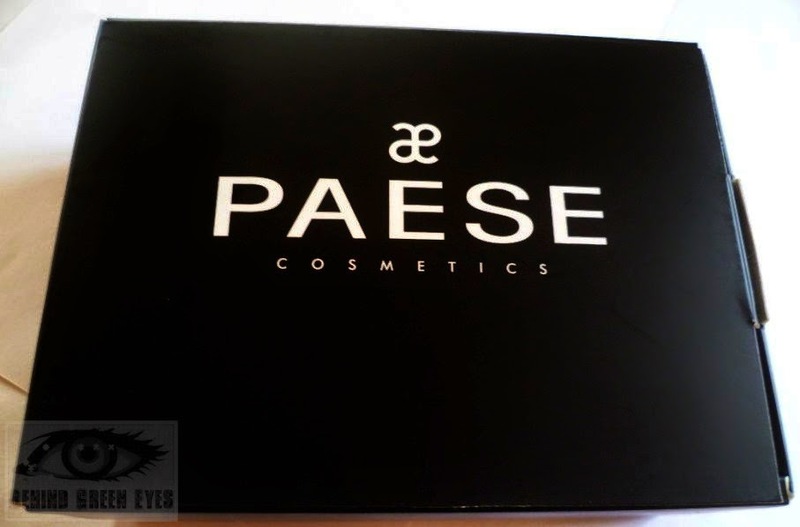 My prize was a Paese Box from Paese Ireland and I was so excited to see what I was going to get! Anything I've ever bought from Paese has been of excellent quality (in particular their makeup base and nail polish remover). 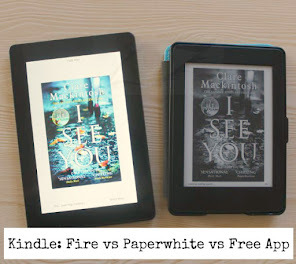 The box itself is quite small - it's not that much bigger than a kindle. When I opened it, I was surprised to see how much they had managed to pack in there - I got 5 full sized products. This is called "Caffe Latte" (yes, there are two "f"s in Caffe...) and retails at €6.99. This trio is part of the "Opal" finish - the shadows are buttery smooth and amazingly pigmented. I would never have considered Paese for eyeshadow before this but they're absolutely gorgeous, I can't speak for any other finish but the Opal ones are a definite must-have. 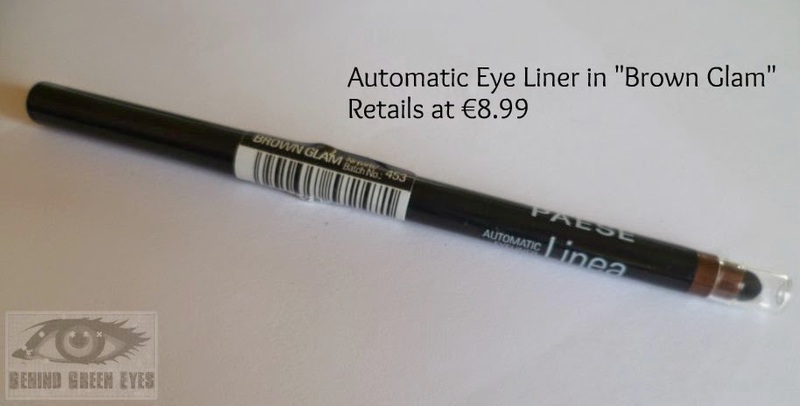 For €6.99 it really is a super little product, and the shadow lasted ages without a primer. Again, this is a gorgeous product. 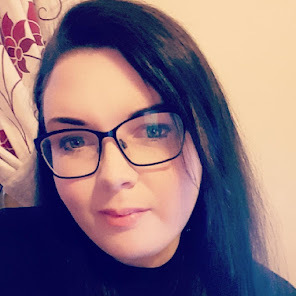 I haven't used eyeliner in ages, mainly because I tend to go for black which is quite harsh, but I have used this one several times since I got it. It makes a perfect companion for my Smashbox palette, and it has great longevity. This is in the shade "Brown Glam" and sells for €8.99 on the Paese site. I never really realised that even a subtle little bit of eyeliner can make such a difference to eye makeup - the eye on the left of the picture has eyeliner, the one on the right doesn't. This should give you a better idea of how pigmented the shadows are too - I didn't use any primer. 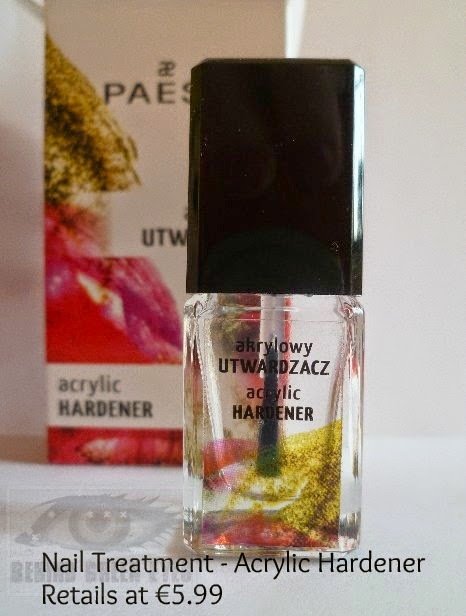 Next up is a nail treatment - this promises to increase the wear of a polish by up to 3 days, and also to strengthen nails to the point where they are as strong as acrylics. I've got a few similar treatments but I will give this a whirl, my nails are quite prone to snapping at the moment so anything that can help that even a little bit is grand with me! This retails for €5.99 and there's a huge range of treatments on the site. Finally, I got two nail polishes (yay!!). I have already got a few Paese nail polishes, and I think they're fantastic quality for the price. 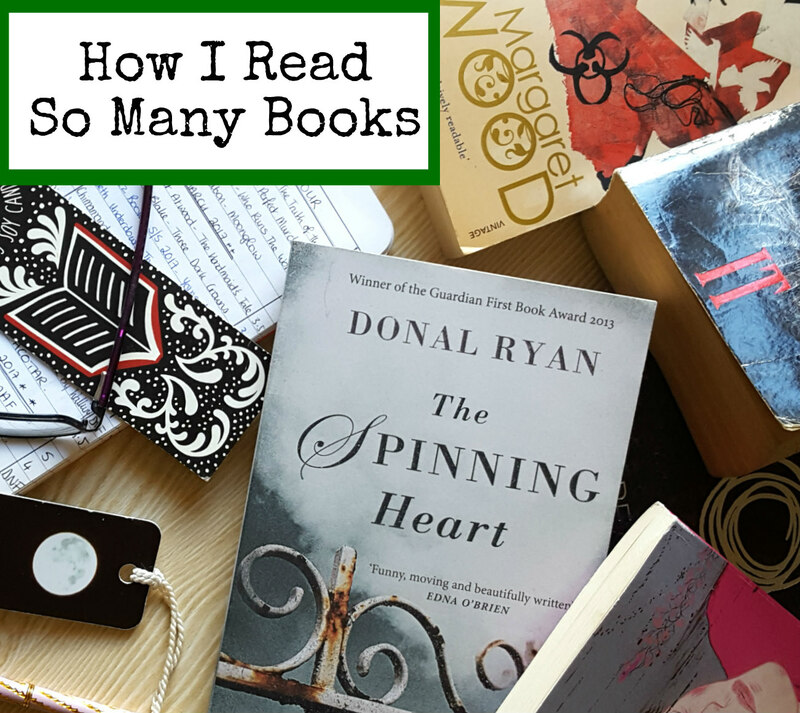 I reviewed a couple of them before here and here. I already know they're really good - and I was really happy to see one of the new Summer Time shades in here. I've also never tried a silk formula polish. These retail for €4.99 each. The green polish was a one-coater, and applied beautifully. I gave it one good thick coat and it dried in no time with no visible brush strokes. The silk polish was also one thick coat, but was just a small bit streaky in that I could tell where I lifted the brush from the nail. I wasn't overly keen on the silk finish to be honest - the colour is lovely but I'm glad I haven't splurged on any silk finish shades from any other brands. I've a feeling it could make an excellent stamping polish, leave it with me! The silk polish (as with most textures) is pretty in direct sunlight, but unfortunately it's just too cool toned for my skin, it does nothing for me at all. So there you go - a box containing 5 full-sized products of great quality, with a total value of €31.95. I've been informed by Paese that the Paesebox is a limited, recurring offer on their website. You can keep an eye out on their twitter or facebook , as they announce when it's available. 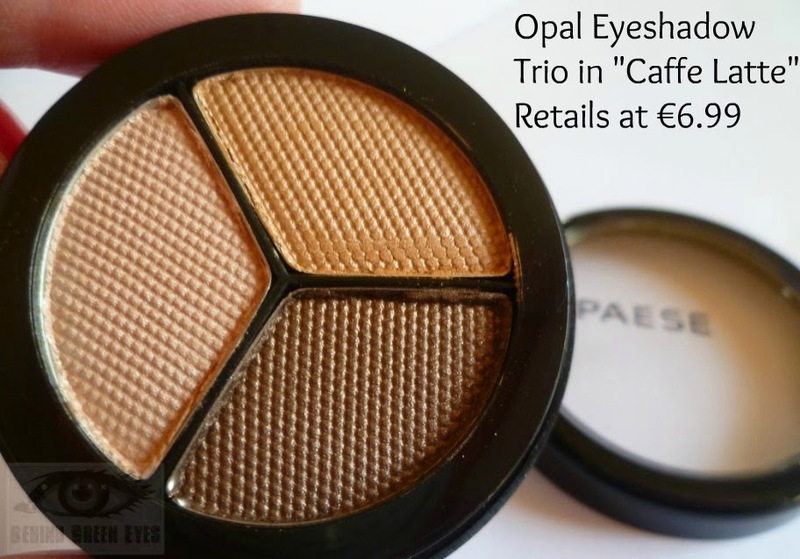 In the meantime, you can purchase a huge range of Paese products on dolledup.ie here. I'm still not sold on the whole mystery box idea, but I could be swayed by another Paesebox or two in the future. 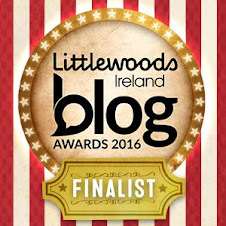 I just want to mention also that Dolledup.ie were winners the other night at the Littlewoods BOPS awards, taking home the prize for Best Business & Corporate Read. 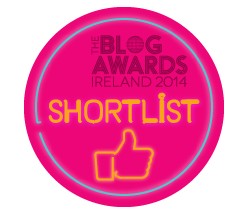 Huge congratulations and well deserved! 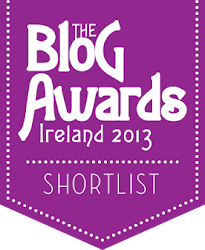 Thanks to both dolledup.ie and Paese Ireland for a great prize. You have beautiful eyes me' dear! Hmm I'm not really sucked in by this one at all. I'd sooner get an all polish box anyway but still for the price I think you get a better variety from other boxes. I wish there were a good all-polish box. I know Llarowe have one but when it goes on sale it's impossible to get near the site for nearly 24 hours then they're all gone! I might try the Powderpocket one, that seems to have a nice variety of things in it. I never ordered any kind of mystery box...I think it would be fun time to time but I prefer to choose products by myself :) This box looks great though.